A simple Nativity story to read with toddlers and preschoolers, Welcome the Baby Jesus builds a picture of the first Christmas for young children. Following the ‘This is the House that Jack Built’ text style, readers are introduced to Jesus, his parents, the shepherds and Wise men and many of the other familiar symbols of the first Christmas through the repeating rhythm of the story. 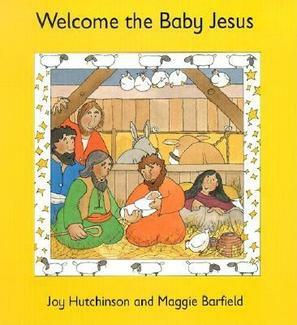 With appealing illustrations and the building repetition of the text, Welcome the Baby Jesus is a lovely way to share the story of the first Christmas in the Bethlehem stable with little ones.